Honeymoons, should be just what you want, it could be a weekend in London, 6 months travelling the world or a 2 week luxury holiday on board a yacht. It’s your honeymoon, so should suit you as a newly married couple. Although for most couples when they think about a honeymoon it’s 2 weeks on a beach somewhere hot. But it could be so much more. Not all honeymoons have to be a beach holiday, have you thought about a luxury yacht for your honeymoon? Vernicos Yachts are a family run company established in 1975 that prides itself on offering a luxury chartering service. Offering luxury holidays, heading out to Greece, Turkey and Croatia. After your big day all you want is to head away on your honeymoon, setting sail on a yacht as your start your new life together, would be perfect. Imagine having a yacht just for you (other than the crew), lots of privacy away from a busy resort, sitting on the deck looking at miles of ocean. A fabulous way to relax and indulgence on food, drinks and each other. A yacht is one of the most stylish ways to honeymoon, waking up in different locations each day. Swimming in crystal clear bays, visiting islands that are not in the tourist books. The Greece islands are perfect for this, I have visited Crete on a couple of occasions and when we return next year we would love to charter a catamaran to see the island from the water. Your evenings would be spent enjoying a glass of local wine, while watching the stars. Visiting the tavernas for beautiful local food and drinks while on the land. If you love the water, then being out at sea is perfect for scuba diving, snorkelling and swimming, as while on a yacht you are only a jump away from seeing the world below the surface. Although many yachts sleep more than just 2 people, it would give you plenty of space to enjoy your honeymoon. Each of the Vernicos fleet of yachts is finished to the most luxurious standards, so you know that whichever your choice for your honeymoon, luxury is it’s heart. Each yacht will have crew on board, they are there to ensue your time on board is everything you dreamed it would be. Although they will be on board it will no effect your privacy, so you can enjoy your honeymoon without having to worry about the crew being there. Why not look at Vernicos Yachts chartering services for your honeymoon? Whether your adventure is hiking in a national park like Snowdonia or going on an inter rail trip through Europe, it doesn’t matter. What matters is the adventures you have along the way. 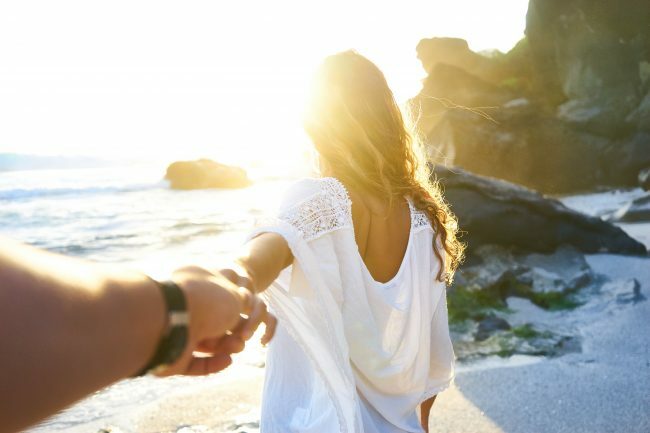 Though technically adventure can and does happen on any trip, an adventurous honeymoon will specifically be one where you go out and explore. This will often mean a lot of time spent walking on foot or enjoying outdoor sports. 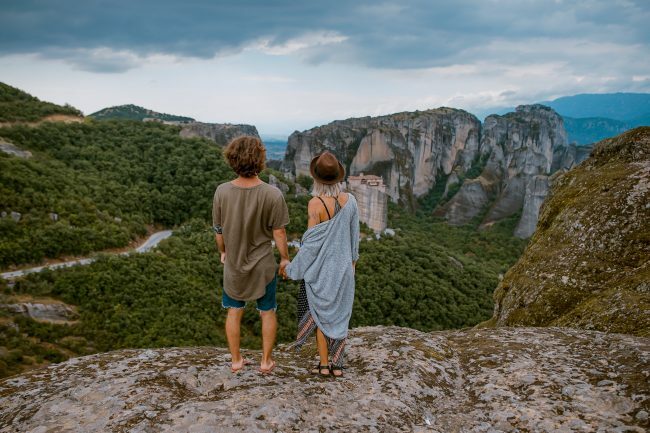 The more extreme, the better for couples who want to go on an adventure honeymoon, and therefore the best destinations are those that have the wild landscapes to entice and inspire like Iceland or New Zealand. For most, of course, staying in bed with your new spouse is the only thing that matters. Making it the only thing you can do, however, is a mistake. That’s why choosing a great vacation home in an area that has a few things you can do and explore is the best of all worlds. Choose a stylish, private abode from VacationRenter.com, and you can enjoy quality time and explore new things together all at once. Exploring the world on water is one of the most romantic ways to spend your honeymoon. If you have boating experience, then this could mean renting a private boat for the two of you. If you don’t, then book a cruise so you can enjoy all the thrills of the water and explore top destinations on land. The water and the ocean captivate us, but not everyone is thrilled to be out on open water. Instead, consider renting out a rental or vacation home on the beach front. The more private the beach, the better. 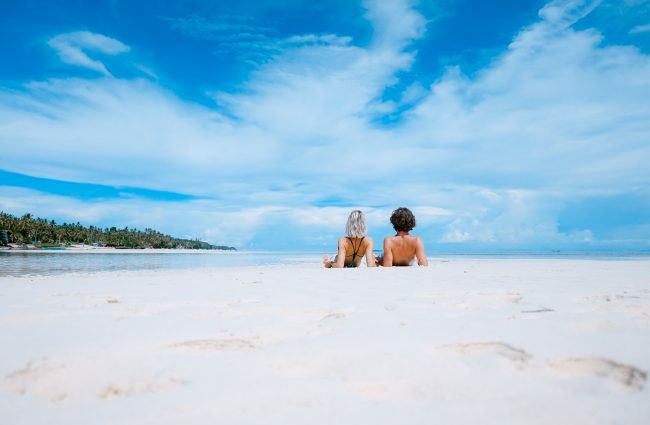 If you are on a budget, this might mean switching out the white sands of Africa or even the picturesque shores of the Mediterranean for the cliffs of Briton, but the opportunities for a romantic getaway remain the same. Paris might be the city of love, but that doesn’t mean that you can’t make any city romantic. Choose carefully, however, as when you go to a city destination for your honeymoon that city has the potential to be yours. It will always hold a special place in your heart, and the more unique, the fewer tourists. Honeymoons are tricky because they have so many expectations attached to them. Pull back your expectations and try to have fun, because that is what you will remember the most. The big day has come and gone, the planning, the chaos, the nerves, the anticipation. Your wedding day is supposed to be the best day of your life but can take its toll on your stress levels, so it’s fantastic to know after a job well done, you can relax and understand the honeymoon is just around the corner. There is is nothing quite like being newly married though. Knowing you are starting your new life together, and a world of adventures await, can feel incredible and is a feeling worth savouring. Don’t allow the passion to prematurely dissipate by letting yourself to be sidelined into choosing a mediocre honeymoon destination. The archipelago of Indonesia steps as far away from mediocre as you can get. 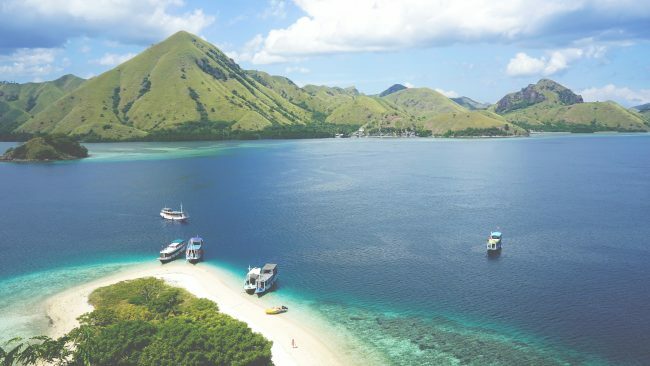 Hundreds of islands, all with silver sandy beaches, luscious terrains, wondrous woods, and sparkling glassy waters qualifies Indonesia as the destination with a difference, a haven of tranquillity, passion, romance and beauty, perfect for honeymooners. Where to go? Here is a handy guide for the most love up locations for you and your partner. Bali has long been known as the ideal honeymoon hideaway for nature loving newlyweds. There are very few locations that can match Bali for its tranquillity and seclusion. For many visitors, Balinese wildlife doesn’t extend far beyond tiptoeing through the trollops in Sanur, but trekkers and orchid lovers alike should head to Munduk in the north of the island. In the midst of these flourishing highlands, you can leave the world behind and enjoy waterfalls together, retreats to the temples and be in awe of an abundance of wildlife. Surabaya is yet another of the more popular places to choose to go honeymooning in Indonesia. Famous for its cultural architecture in the form of impressive mosques and magnificent monuments as well as culinary delights to tempt the most particular of palates. Witness the goods being transported around China Town by becak and hand-pulled carts, a taste of the old world meets modern day, experience Cantonese culinary skills and enjoy a taste of the Orient. As well as an abundance of hotels, there are beautiful apartments to rent at https://rumahdijual.com/surabaya/. Surabaya really does offer the honeymooning couple plenty of opportunities to experience the real heart of Indonesia. A small island north of Sumbawa Island, Moyo Island is a top class visitor destination, well known for its quiet beauty and simple charm. The isle itself is tiny, it’s entire area reaching only 30,000 hectares. Despite its diminutive size, its draw lies in its exceptional measure of untouched natural beauty. This measure of such splendour can make a couple of in love feel like they are the only two in the whole world, a perfect start to married life together. The serenity of this island is not only about the white sandy beaches and azure seas but also the untouched woodland, where secret waterfalls and rivers run. In direct contrast to the more traditional way of life of Bali Island, the lush green Banda Islands positioned in the heart of Maluku province amidst the Banda Sea offers a marine life and diving experience the more active and adventurous honeymooners won’t want to miss. If you can imagine yourselves spending a week taking in the incredible views of Mount Api, an active volcano 2,200 feet high in elevation, or even descending into the crystal waters, of this archipelago then Banda Island may well be perfect. Made up of the islands of Neira Island, Lonthoir Island, Pisang Island, Hatta Island, Ay Island, Rum Island and Mount Api itself, the island group offers divers and visitors alike the chance to see Mandarin fish, enormous table and soft corals as well as a vast array of pelagic fish if you visit any of the many dive sites. It may sound farfetched, that you can find an idyllic and peaceful retreat within the chaos of West Java, yet there is one destination filled with romantic charm and yet retains its rustic character. Tucked away from the hustle and bustle of the bustling towns of West Java, Kampung Sampireun is a floating retreat, decked out with gazebos, where the sounds of Sudanese music floats across the street and where you can experience the unique menus on offer. Equal measures of homeliness and extravagance intertwine, making this village a perfect choice for romance inspired couples looking to take their adventure to new heights. Lombok Island is, again, a haven for divers and lovers of all things underwater and has the genuine atmosphere of love. The waves lap serenely, and as they caress the shore, it’s ambient sounds adding to the romance of your honeymoon. Beauty, calm and tranquillity, perfect for the couples looking to get away from it all and everyone. Bintan Island is exquisite, an outstanding area of natural and real beauty. Almost picture postcard perfect in its gorgeousness, there are shimmering white sands, crystal blue waters, stunning greenery. For couples who need nothing more than scenery and each other, this is the choice by far. Yogyakarta is undoubtedly one of the most romantic honeymoon destinations for newly-weds in Indonesia, if not the world. The island is teeming with relics of its rich and diverse history culture as well as reminders of its grand days of yesteryear. If you fancied a visit to Kaliurang, there is an opportunity to snap some incredible shots of you and your brand new spouse aside the frothing waters of Hawanya stream. Nestled within the stunning and luscious backdrop of the mountain valleys, Kaliurang is less than 30 kilometres north of Yogyakarta city centre. The striking scenery on Belitung Island is almost unique, something you will struggle to find anywhere else. Dominated by beautiful coastal panoramic views, azure water and beaches with sands so white and soft they could almost be made of talcum powder, the island is breathtaking. There are also some calm water bays allowing for water-based sports and sailing for couples looking to take to the sea. No matter what you are looking for, whether it’s sun, sea and sand or a little more adventure, Indonesia would be the perfect place to begin your married life together. It simply has it all, all you need to say is I do!